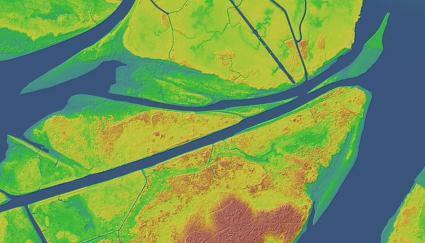 What do we use remote sensing for? Let’s take a look at remote sensing and the surprising influences it has on our every day lives. What are remote sensing applications and uses? First, if we are going to solve some of the major challenges of our time, remote sensing data is fundamentally important to monitor the Earth as an entire system. Literally, there are thousands of uses for remote sensing, but here are just 100 of remote sensing applications. For example, the Arctic is an unforgiving destination to travel to. Because of the obvious safety risks of field activity, scientists leverage remote sensing for sea ice monitoring, ship tracking and even national defense. Already, we see growth in the usage of Light Detection and Ranging (LiDAR) which is simply just a way to accurately measure how far things are. 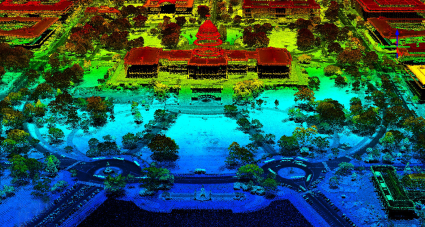 Often, airplanes and drones capture LiDAR depending on the size and area of land. Using digital elevation models from LiDAR, we can better predict risk of flooding, archaeological sites and even autonomous vehicles. LiDAR stands for Light Detection and Ranging. It uses lasers to measure distance. This is useful for measuring heights on the bare ground and its features. Because remote sensing covers so much ground, it puts a wealth of information into the hands of decision-makers. As mentioned before, remote sensing means you are acquiring information from a distance. When you’re outside, the sun emits light. And each object reflects a mix of red, green and blue colors into your eyes. It’s the same for sensors on board satellites work. But what’s important to know is that there is a whole range of possible wavelengths in the electromagnetic spectrum from short wavelengths (like X-rays) to long wavelengths (like radio waves). And this is why remote sensing is such a powerful discipline. Because we can see beyond human vision, this fact alone lets us see things we’ve never seen before. In other words, we can see the invisible. What does it mean to see the invisible? If you look at the EM spectrum image above, our eyes are sensitive in the visible spectrum (390-700 nm). Really, that’s just a small range of light because engineers can design sensors to capture other parts of it. 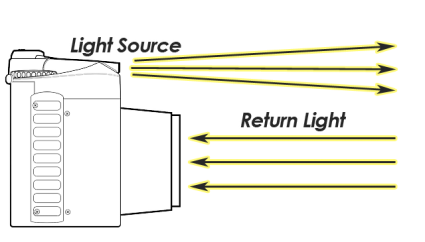 For example, near-infrared (NIR) light is in the range of 700 to 1400 nm. And we already know that plants reflect more green light because that’s how our eyes see it. 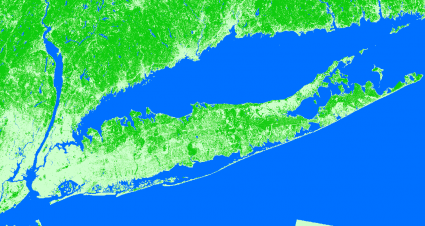 Using indexes like NDVI, we can classify healthy vegetation for the whole planet. Each spectral region is categorized based on its frequency (v) or wavelength. Spectral bands are simply groups of wavelengths. Examples of spectral bands are: ultraviolet, visible, near-infrared, mid-infrared, thermal infrared and microwave. It’s not only near-infrared but it turns out that other spectral bands are extremely useful to classify land cover on Earth. We can classify land cover because each object has its own unique spectral signature, depending on its chemical composition. Because we can use ultraviolet, visible, near-infrared, mid-infrared, thermal infrared, we can classify different features on Earth. Ultimately, land cover is how we understand our changing planet and things like climate change such as this Global Land Survey classification. What is a spectral signature? A spectral signature is the amount of energy reflected in a particular wavelength. Differences in spectral signatures is how we tell objects apart. Spectral signatures are driven by the objects chemical composition. 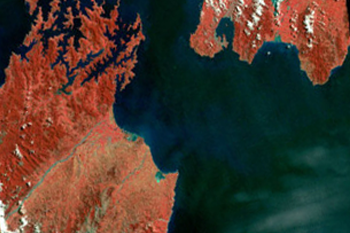 What are the types of remote sensing? In general, the two types of remote sensing are passive and active remote sening. ACTIVE SENSORS have their own source of light or illumination and its sensor measures reflected energy. For example, Radarsat-2 illuminates a target and measures how much energy bounces back to the sensor. Actually, it’s similar to the flash of a camera as you can see below. Alternatively, PASSIVE SENSORS measure reflected light emitted from the sun. For example, Landsat-8 measures reflected energy emitted by the sun bouncing off the Earth. 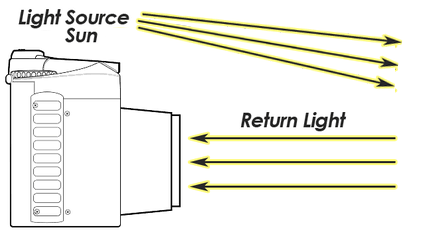 But when the flash is turned off, the source of energy comes from somewhere else such as the sun or a lamp. What is passive remote sensing? Passive remote sensing measures reflected energy emitted from the sun, active remote sensing illuminates its target and measures its backscatter. Passive remote sensing can be divided even further into multispectral and hyperspectral. The main difference between multispectral and hyperspectral is the number of bands and how narrow the bands are. Multispectral imagery generally refers to 3 to 10 bands with each band acquired using a radiometer. Hyperspectral imagery consists of much narrower bands (10-20 nm). A hyperspectral image could have hundreds of thousands of bands using an imaging spectrometer. In terms of hyperspectral satellites, the Hyperion imaging spectrometer (part of the EO-1 satellite) produces 220 spectral bands (0.4-2.5 um). For airborne sensors, NASA’s Airborne Visible / Infrared Imaging Spectrometer (AVIRIS) is an example of a hyperspectral sensor delivers 224 contiguous channels with wavelengths from 0.4-2.5 um. While hyperspectral images has hundreds of narrow bands, multispectral images consist of 3-10 wider bands. Image resolution can be divided into spatial, spectral and temporal resolution. SPATIAL RESOLUTION is the detail in pixels of an image. While higher spatial resolution means more detail and smaller pixel size, lower spatial resolution means less detail and larger pixel size. TEMPORAL RESOLUTION is how often revisit times occur, often for satellite data. The height of the satellite above the Earth surface will determine the time it takes for the orbit to take one complete orbit of the Earth. Orbital period increases with satellite height. Geostationary orbits match the Earth’s rate of rotation. 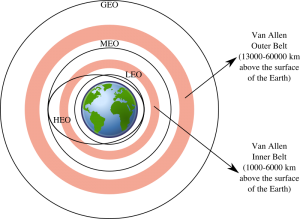 Sun Synchronous orbits keeps the angle of sunlight on the surface of the Earth as consistent as possible. Polar orbits passes above or nearly above both poles of Earth. Finally, SPECTRAL RESOLUTION is the amount of spectral detail in a band. While high spectral resolution means bands are more narrow such as hyperspectral, low spectral resolution are broader bands covering more of the spectrum. How do we use remote sensing? Whether it’s airborne or in space, remote sensing is changing the way we see the Earth. For example, we use LiDAR data, satellite data and digital elevation models to accurately model the landscape and build the human environment in a sustainable manner. Further to this, navigation systems use GPS satellites in orbit to receive signals and know where you are on Earth. In an industry that’s reaching new heights, how will you use remote sensing today? What is Atmospheric Correction in Remote Sensing? Dark object subtraction, radiative transfer models and atmospheric modelling are common techniques used to for atmosphere correction in remote sensing. Over the span of your life, how much has the Earth changed? Quite a bit, but you probably just can’t put a number to it. You actually CAN with land cover. Synthetic Aperture Radar (SAR) is an emerging technology in remote sensing with the advantage to see in any weather condition and even at night.